About five months ago, I moved from Guelph to Waterton Lakes National Park, AB (population 105) and found improv in the most unlikely of places. There is a small theatre in Waterton called the Opera House which occasionally hosts live performances. In early August I received a message from a friend "Flamenco night at the Opera House…” Flamingo? Like the bird? 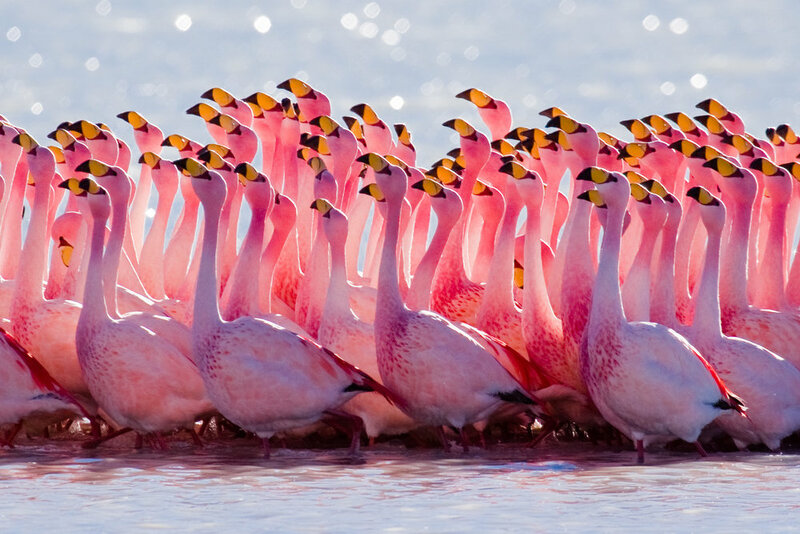 Is this what a Flamingo night would look like? Flamenco originated in Spain and includes singing, guitar, dance and Jaleo (translates roughly to “hell raising” which involves foot stomping, hand-clapping, and shouts of encouragement). But unlike other dances, the hand-clapping and the tap dance beats by The 12 Musas (the group I saw) were improvised. I didn’t know this going in, but having been trained at The Making-Box, I quickly noticed a few things flamenco performers and improv performers have in common. During the first dance, I was drawn from the scene as a whole to the communication between dancer (Anastassiia) & violinist/palmeros (Jonathan). At first I thought, "why is he staring at her so hard…". Then I looked and listened harder. He was watching her steps, hand movements and facial expressions. It looked as though Anastassiia was using her body language to shape the song while Jonathan’s music was saying, "Yes I hear your step pattern, and let me add this clap rhythm to it." I thought, "Are they improvising?" At the end of the first number, Anastassiia said to the audience, “Improvisation is in Flamenco. We improvised a lot there.” Whoa. Live dance and music…improvised! I was right! "This next dance" Anastassiia told us, "was traditionally a men’s only style. And, because of the complex footwork, you couldn’t really do it in a skirt." With that introduction, Anastassiia shifted into character as the young female flamenco dancer, who was ready to put on pants, and break all the rules. Sitting in the chair, she was now a nervous but determined young dancer, ready to try her hand and feet at something never done before. Her use of body language & movement styles told the story. “If I am bold enough to do this, then I am going to put my whole self into it." "If...then" shaped how she moved; the force of the movements and the expressions she shared with the audience. I loved that no one person in The 12 Musas controlled the scene. They shared who led, who followed – who advanced the scene, and at which point. They supported one another and anticipated each other’s movements – if this clap rhythm is set up, what is likely to follow? At points, dancers would tap out a rhythm, then musicians would pick it up. Other times, the violinist would lead the rhythm in another direction, so the guitarist would strum to a different emotion. The ensemble’s complete trust in each other was clearly visible, it made me trust them as well. They were able to move the scene forward – trusting each other to support and add to their decision. They flowed through contrasting emotions – an emotional rollercoaster – keeping the audience wanting more. Before a scene stagnated either dancers or musicians initiated a change. As an improv student, it was fantastic to see the improvisation toolkit being used in this bright and surprising dance form. Just like in our improv classes, jams and shows, the 12 Musas listened, connected and responded to each other fluidly. After the show, audience members had a chance to chat with the performers. I mentioned to Anastassiia that I took improv classes. Immediately, eyes lighting up, she said that she took improv classes too. And now, as a Flamenco teacher she uses theatre improv exercises to teach her dance students. Breanna Hall is a past student of our Improv Incubator program, where she learned all these useful improv tools! 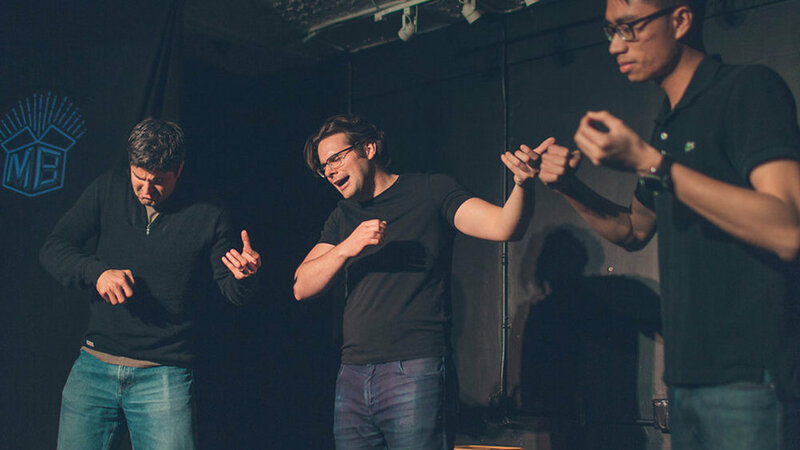 Give it a try yourself at our monthly improv jam this Sunday or Drop-in Class on Monday! BREANNA HALL began improvising at The Making Box's classes with her class The Tea Drinking People. She is an Interpreter/Outdoor Educator in Parks, and enjoys any opportunity to play outdoors. She has only been called Harry Potter in public once...okay twice.